A luxurious and intensely reparative formula that works on contact to soften roughness relieve discomfort and help rejuvenate seriously dry lips. This lip balm is for anyone who wants to provide care for the thin skin on their lips, which are virtually defenseless against subtle changes in wind, temperature, and dryness. 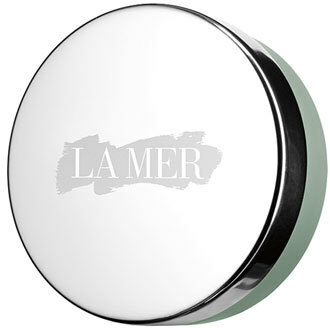 LA MER Lip Balm is a potent concentration of La Mer's nutrient-rich Miracle Broth renews the delicate lip area while a patented Lip Lipid Complex delivers moisture and strengthens lips moisture barrier to help prevent further damage. It's also flavored with cool, refreshing mint. How to use: Apply to lips with a light patting motion. Pro tips: This portable wonder instantly transforms lips, fingertips, and cuticles whenever you notice dryness. Keep one on your nightstand and another in your makeup bag, so you always have it available for a quick touch-up. The reflective lid can serve as a little portable mirror in a pinch. I've always wanted to try La Mer.